Shopping for Alien / Aliens Action Figures? "Get away from her you b….!" Well, you know how the line goes - and how the fight goes. 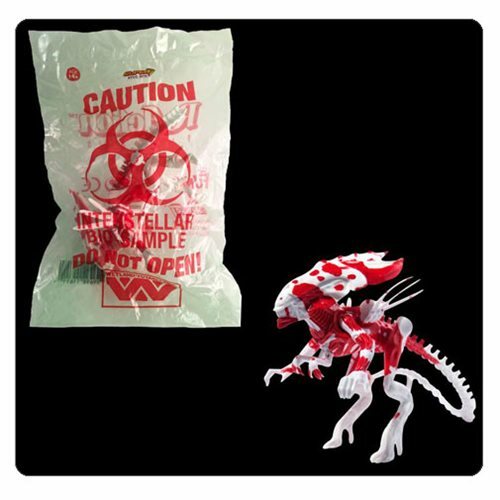 The New York Comic Con exclusive Aliens Alien Queen Biohazard Bag ReAction Figure is a 3 3/4-inch retro action figure packaged in a clear Weyland-Yutani biohazard bag. It's awesome, it's disgusting, and it'll look amazing on your desk. Get yours before it gets you! Ages 17 and up.